Thank God it’s Fontina. Fontina DOP is a marvelous cheese. A cheese with a bit of a bite that melts when heated creating an oozing semi soft component to a grilled sandwich or when mixed in with polenta. Do not be fooled just because a cheese is called Fontina. Look for the trademark. In all of Europe by law, the name and quality are protected, but the US does not recognize these trademarks so you may find US Fontina in the big box stores. While the knock-offs may be good or even great cheeses they are not Fontina! 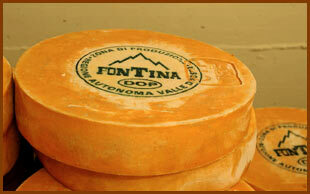 Fontina is produced exclusively in the high valleys of the Alps of Valle d’Aosta. Valle d’Aosta is a scenic and uncontaminated region of Northwestern Italy. The pasture fed cattle produce milk rich in vitamins and minerals. 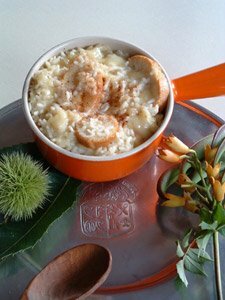 The indigenous flowers and grasses result in the distinct flavors of Fontina. The location of the feeding grounds, far away from both cities and agriculture, high in the Alpine valleys means that this cheese is without pesticides, industrial hormones or additives. 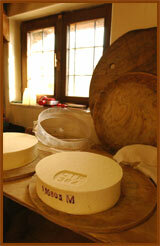 Fontina is a genuine product of nature with roots in the 1200s. 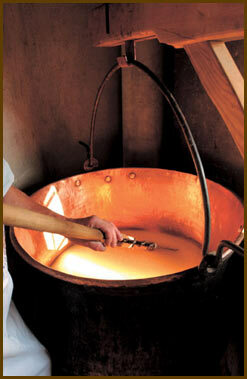 The traditional production methods are still employed today. This tasty treat is the realization of what organic products strive to be. The crust is thin and compact while the center is tender and will melt in your mouth. A sweet cheese with a slightly acid hint makes this cheese a perfect ingredient for fondue, gnocchi alla bava, grilled sandwiches, polenta, and as a standalone after-dinner cheese with a medium bodied red wine. Fats: 28% of which (47% d.s.) include 30% unsaturated fatty acids and 58% saturated fatty acids a preponderance of short- and medium-chain fatty acids (more or less equivalent to 14 atoms of Carbon), with low fusion point, therefore not responsible for the cholesterol. Palmitic acid (C 16), considered the principle responsible factor for the cholesterol, determines a cholesterol value in the Fontina equivalent to 80 mg/100g - not high, similar in fact to those levels found in lean meat and less than in eggs. 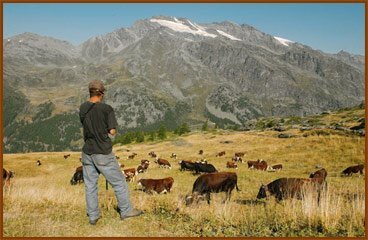 In addition its quantity diminishes in the Fontina of the high pastures because of the different food the cows ingest. Eating healthy means choosing healthy foods. It does not mean eliminating everything that is good to eat. Choose well, eat healthy and enjoy! Ah Fontina - one of my favorite Italian cheeses. It has a wonderful flavour - if you find a good one. Supermarket Fontina is a mixed bag - but if you find a good deli or even better a cheese shop - the Fontina can be fantastic. The best I've ever tasted comes from a small store near a place called Ponte Invrea in Liguria. I love the stuff! Alex You are so correct about quality. 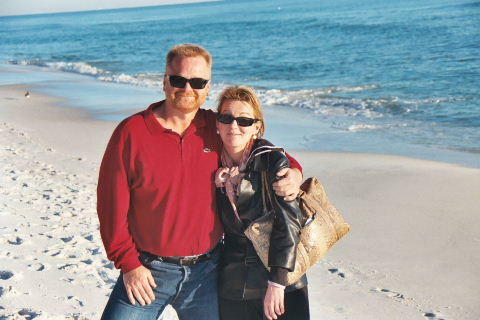 It is a constant fight to support the good products and not always a winning proposition. When good Fontina is really good. You should try it sometime with polenta, hot and gooey. David - I have already tried Fontina with polenta and as you know, it is a wonderful combination!! Just the thing for those cold winter days.